Welcome to Santorini Fishing Tours! Clear your mind and enjoy the Santorini Fishing Tours Experience! Let us guide you through the adventurous waters and fish your day away! Grill on board and enjoy the beautiful sunset. 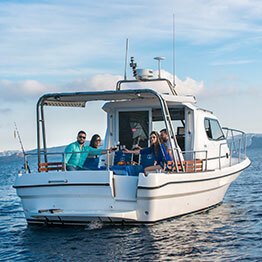 Surprise your loved one with a Fishing Charter in Santorini! The Santorini Fishing Tours are a great experience for everybody! 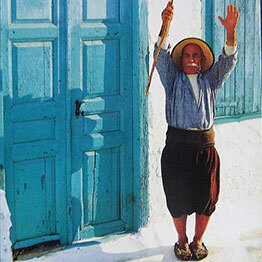 The Men usually like to fish and the Women sunbath and enjoy the waters of Santorini, We can do all of the above at once! Actual Santorini Fishing Charters with a professional fishing boat for the extreme passionate fishermen and all the luxuries for the more relaxed cruise type people! Grill on board and enjoy a beautiful day out in the water of Santorini! Before the fishing charters, We were professional fishermen here in Santorini, Check out our packages and what we'll provide you will on your fishing tour here in Santorini! Santorini's waters are known for being blue and warm, Have your fishing trip with us on our brand new charter sport fishing boat and enjoy spending your day in luxury! Let us tell you about who we are and how to contact us, Fishing is our passion and Santorini our home, And there is nothing better than sharing your passion with others! Just a Sneak pick of what you'll be provided with on your Santorini fishing charter. See our Fishing Packages here! Except that we are locals below are some of the reasons. 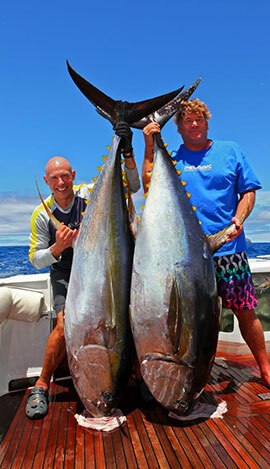 We are the most experienced at Santorini Fishing Tours! 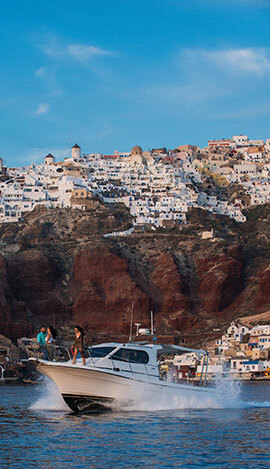 Santorini Fishing Tours are a relaxing cruise experience through the magical sights Santorini. We know the right spots to make it a cruise that you will remember for ever! For those coming along who are mostly interested in Sun bathing, Greek cuisine, a nice glass of wine and snorkeling. We are the ones to talk to, We will clean your fish and throw it on the grill for you! Fishing is Fishing, You never know what's at the end of the line and that's the magic of it. With our Experience at Santorini Fishing You are certain you will have a good meal at the end of the Day! Enjoy some quality time out at the blue magical waters of Santorini and catch as much as you can. The Santorini Fishing Tours company is looking forward to having everyone on aboard of our great memory making boat! A lot of fish are to be fished out and grilled on the spot. Tales to be told about the fish you'll be catching this summer and good friends to be made! Fish throughout your afternoon and enjoy your fresh catch grilled right on the spot. Drinking a local wine of Santorini and gazing towards the sunset from our boat! Book your Santorini Fishing Tours today and secure an amazing afternoon for you and your loved ones! Sport Fishing is for those who have the will and patience to battle till they can't pull no more, and pull even harder! At Santorini Fishing Tours We offer Private Fishing Charters and with most experienced crew and Captain on the island! Battle Through a Hard Day of Fishing and Enjoy your fresh fish on the plate afterwards! 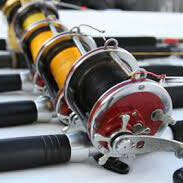 Best and Latest fishing equipment for your Santorini fishing experience! Experience is one thing but equipment is another, We made sure to have the best of both! There is no requirement for any experience on our client's side. We are here to show you how to fish in Santorini and how to use our latest equipment! Get in touch with us and learn all about how Santorini fishing tours can be a perfect experience for you! We know the waters of Santorini better than anyone, Chartering was not always our main job! As the day goes we'll be teaching you some tips and tricks about fishing in Santorini. 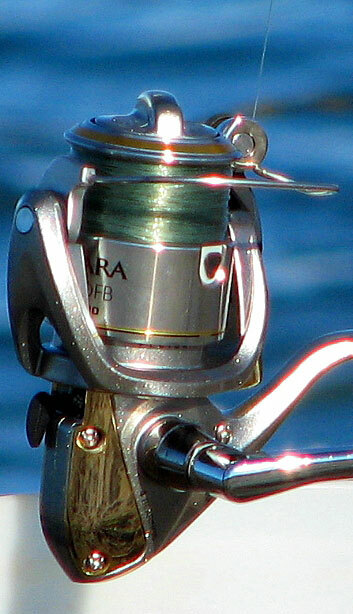 Santorini has specific types of fish, and we have the right equipment for them for fishing! Fishing for Tuna here in Santorini needs a specific type of boat, Have a look at the specs of our boat! Thank you so much for the amazing afternoon, you and your crew made it special for me and my wife, If you ever travel to florida sent us an email! My husband can't stop talking about the day we had fishing in Santorini, I guess my surprise made him a happy man! Hey man thanks again for the great day, Fishing and beer is the ultimate plan for a guys day after all! Amazing experience, Thank you so much for everything, I mean from the little traditional snacks to the grilled fish, Everything was wonderful! Fishing is our Passion and Santorini is our Home, And there is nothing better than Sharing your Passion with others who visit your home for vacation! Once you honor us by choosing our company to have your fishing charter with, It's our duty to make you feel at home and do our best to catch as many fish as possible!